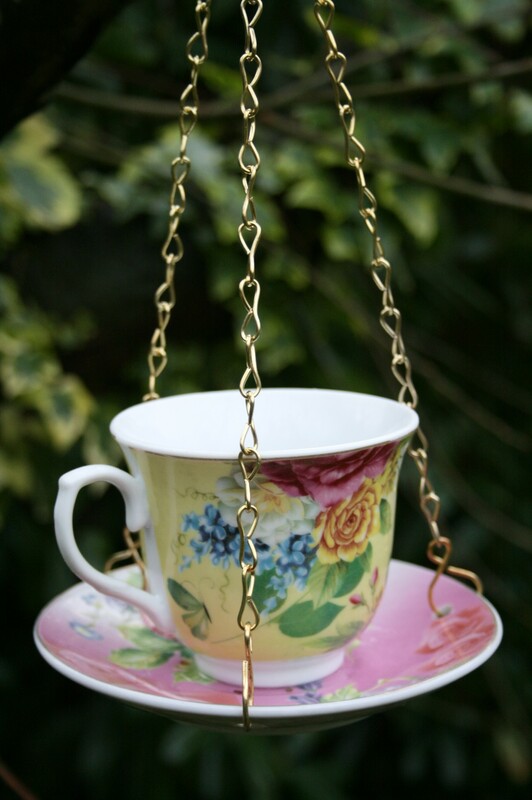 Category: Wildlife and Nature. 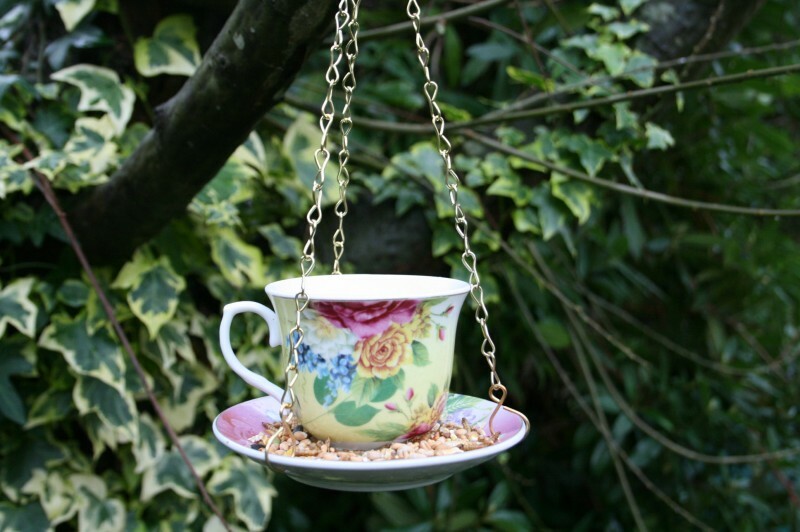 Tags: Tea Cup Bird Feeder, Tea Cup Feeder. 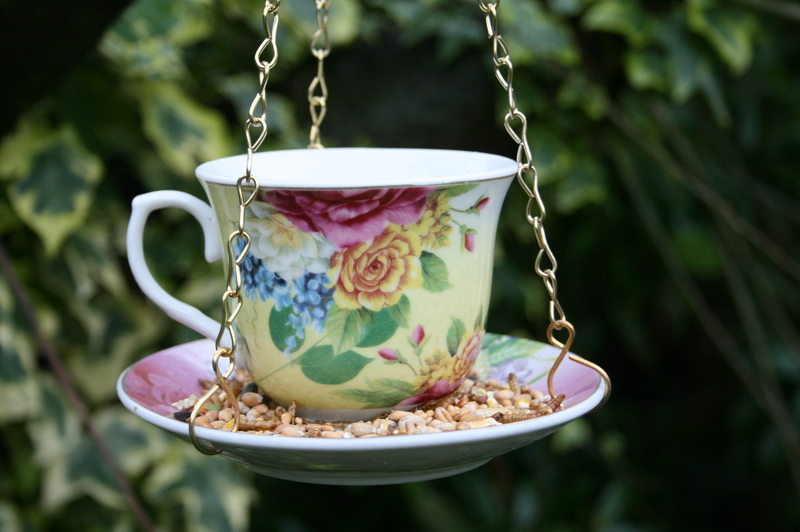 This pretty China Teacup & Saucer Bird Feeder makes a lovely garden ornament and great gift idea for bird lovers. 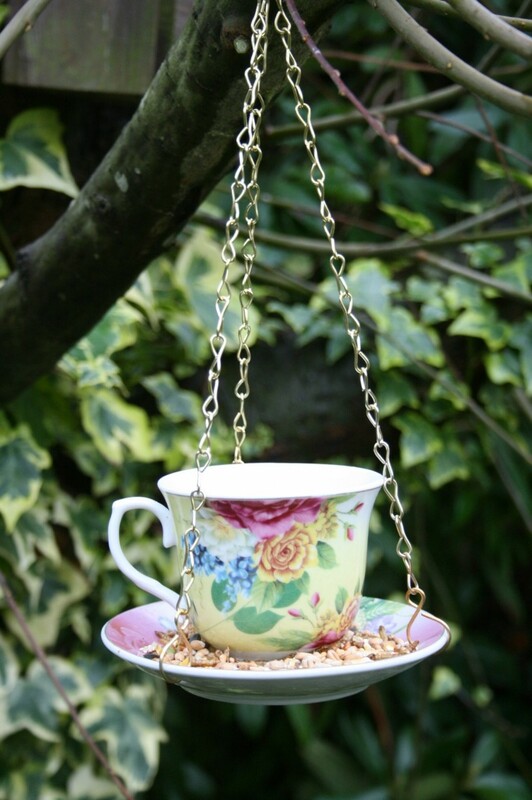 It comes with a chain for hanging and is suitable for serving a variety of bird feed including seed, mealworm and peanuts. 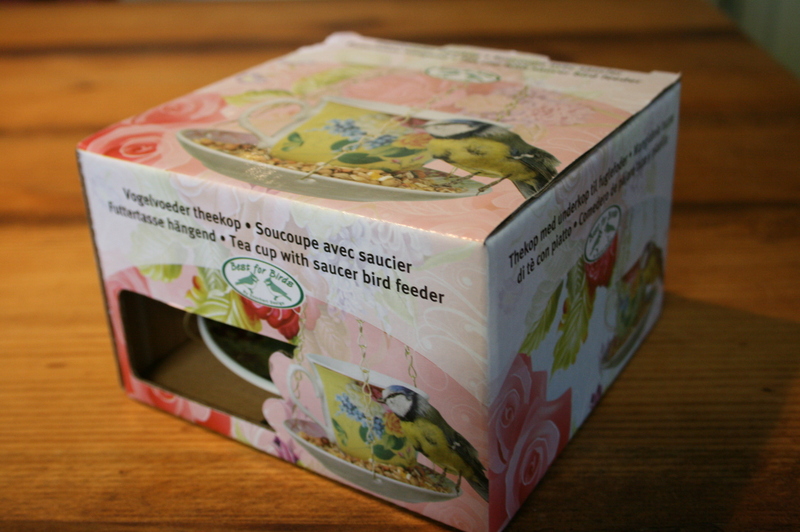 The feeder comes gift boxed. 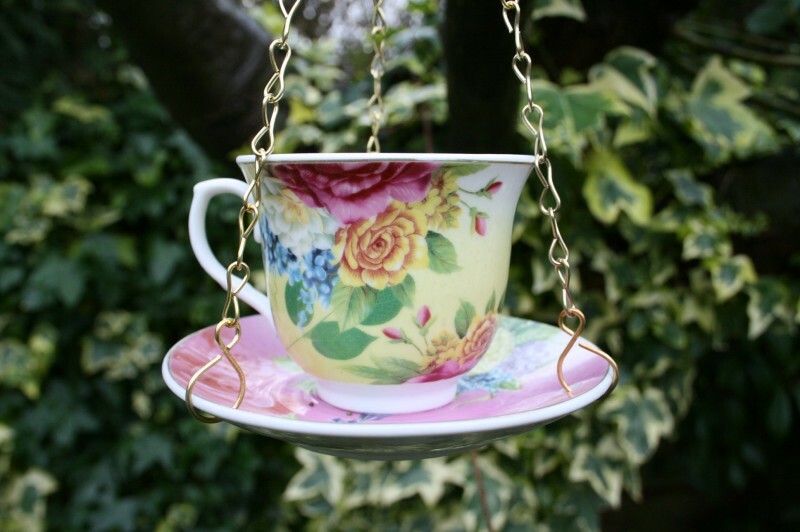 With a vintage floral design the colouring (4 colourways) may vary, but the pattern is the same.